It’s no secret that I love a new bench tool or gadget. Especially if that gadget or tool solves a tricky soldering problem or two, like heat sink, and the hassle of using binding wire. So it’s no surprise that when a friend suggested I try titanium trivets (KnewConcept) I was eager to give them a go. I had a few commissions to work on and my new trivet works like a charm. 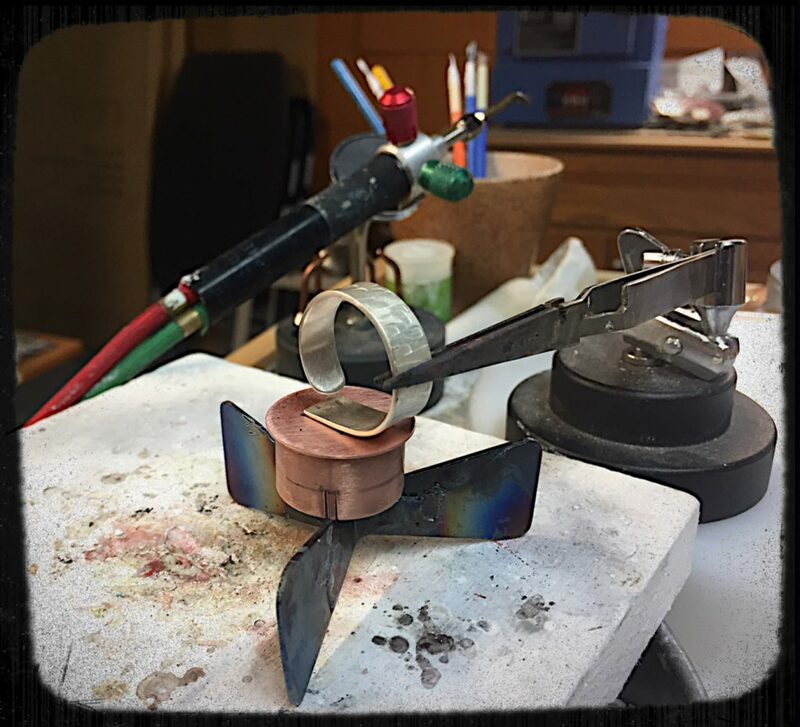 I can see working on a whole series of pendants using the trivet as a support during soldering steps.